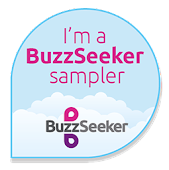 I have tried various hair removal methods over the years and I have found waxing is the best option for me as the results last much longer than shaving. We do lots of cycling and as soon as it is warm enough I wear shorts, so I need to make sure my legs are hair free and waxing means I stay hair free for longer. 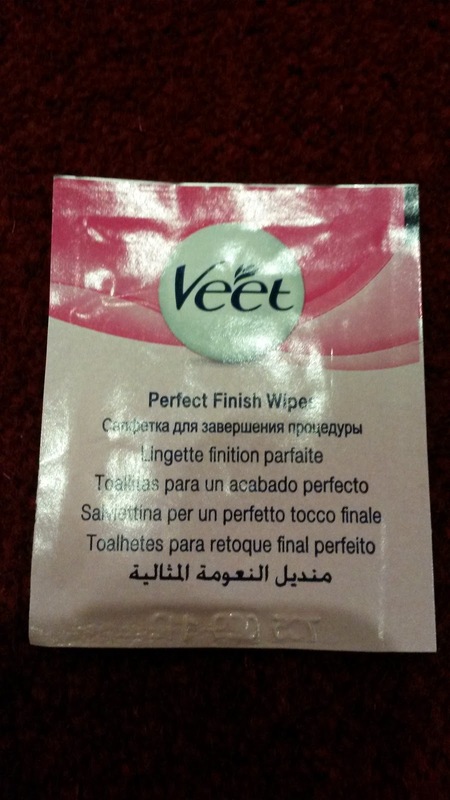 Waxing at the salon is expensive so Veet is great as I can get hair free legs for a fraction of the cost and with my hectic lifestyle I can fit it in when it suits me, rather than trying to squeeze a trip to the salon into my busy week. 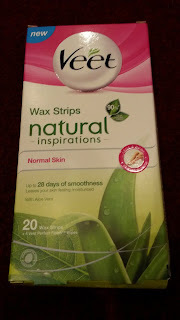 I have used Veet wax strips before but not the new Natural Inspirations strips so I was keen to see how they compare. 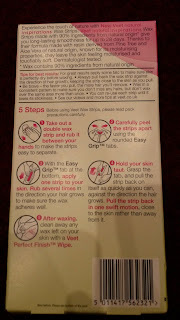 There is a step by step guide on how to use the wax strips on the back of the pack which is very easy to follow. 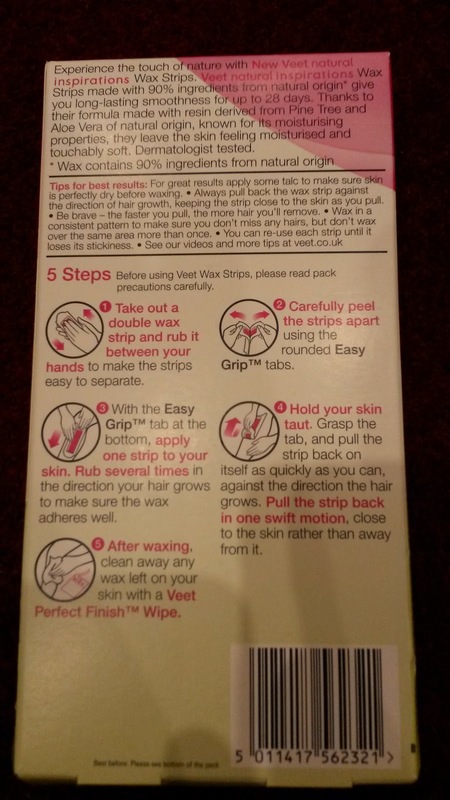 It also gives the following information about the wax strips. 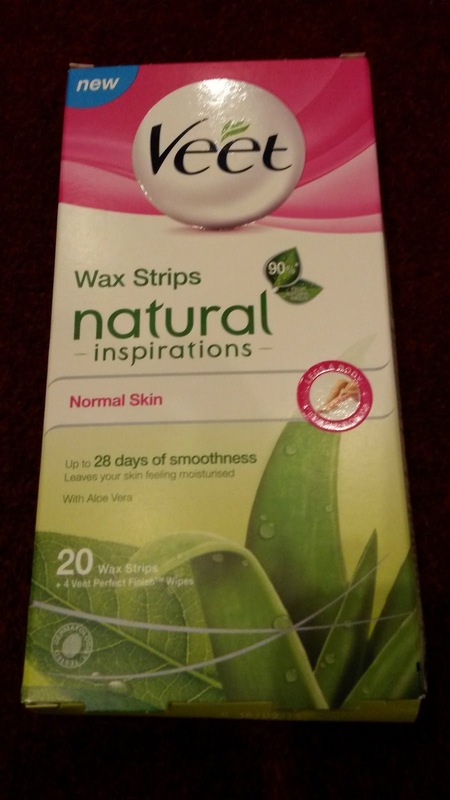 Experience the touch of nature with new Veet Natural Inspirations wax strips. Veet Natural Inspirations wax strips made with 90% ingredients from natural origin give you long lasting smoothness for up to 28 days. Thanks to their formula made with resin derived from pine tree and aloe vera of natural origin, known for its moisturising properties, they leave the skin feeling moisturised and touchably soft. 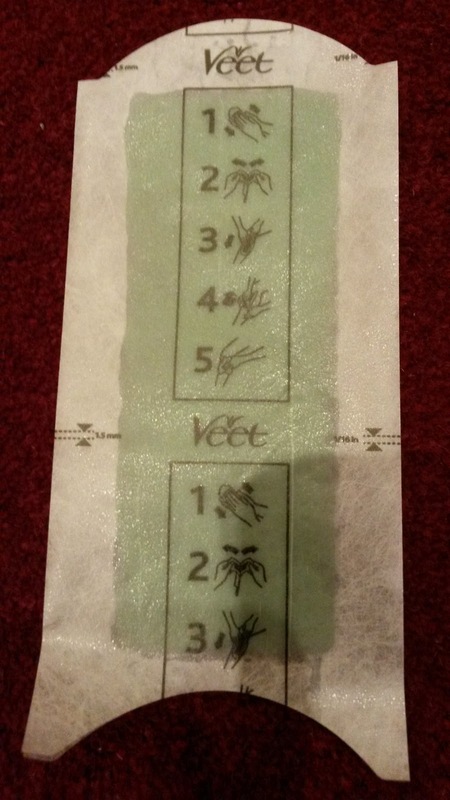 Inside the box are 20 wax strips and 4 Veet perfect finish wipes which I find are brilliant at getting rid of any stray bits of wax left on your leg. 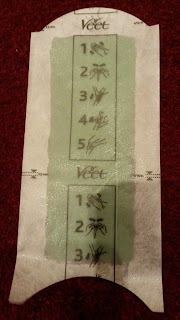 I wax my upper and lower leg and find that 20 strips is about right to wax both legs. If you only wax your lower leg you should get 2 waxes out of a pack. The wax strips can be used several times, until they use their stickiness. I find I can use them 3 - 4 times before I need a new strip. 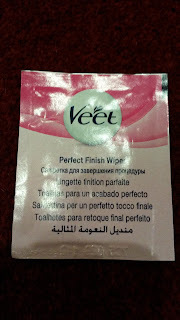 They are effective at removing hair and whilst it is a little time consuming the end results are worth it. I don't find it especially painful, but I have been waxing for a few years now and I suppose I'm used to it. I have dark hair that grows very fast so I tend to wax every 2 to 3 weeks but other people may not need to use them as often as I do. 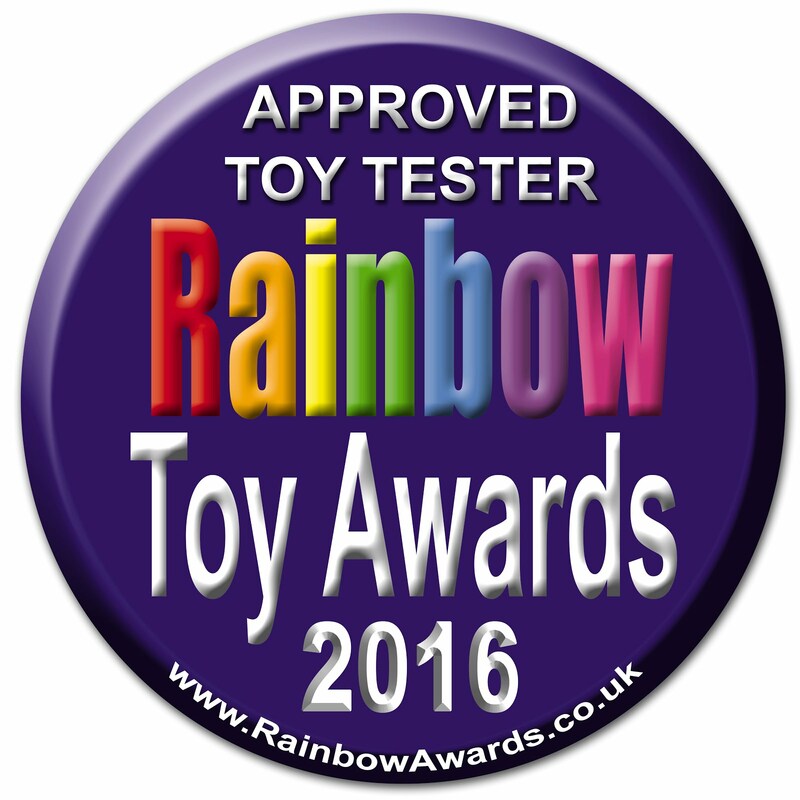 I found my legs were lovely and soft after using Veet natural inspirations and they are just as effective as my usual Veet wax strips. 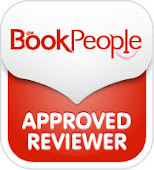 Disclaimer: I received a pack of Veet Natural Inspirations wax strips for the purpose of this review but all words, opinions and images are my own.